Parliament continues to be confronted by calls for including chicken in the basket of zero-rated VAT items. On November 23 a joint meeting of the Standing and Select Committees on Appropriations held public hearings on the medium-term budget policy statement and the Special Appropriation Bill. The National Treasury proposed that white bread flour, cake flour and sanitary pads should be included in the basket of zero-rated VAT items from 1 April 2019. Appearing at the hearing FairPlay said this is not enough if the government is serious about addressing the plight of poor communities. FairPlay’s Lionel Adendorf told the hearing that the zero-rated list does not adequately address the nutritional concerns such as stunting, malnutrition and the dietary and consumption needs of the poor. Economists, trade unions and civic organisations including Fair Play and Proudly SA have added their support to a new application by the South African Poultry Association (SAPA) for a steep increase in import tariffs that might lead to further action to block dumped imports of frozen chicken. The higher tariff would help stem the flood of imports from countries such as Brazil, which has ramped up its assault on the South African market. 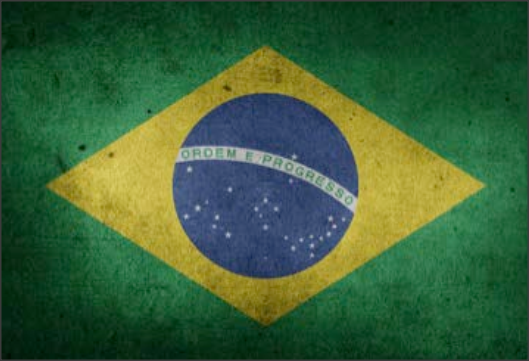 Brazil is unaffected by the three-year safeguard duty that was imposed on EU chicken imports recently. As a result, he says, smaller producers have gone out of business, larger ones have contracted, shed jobs and been forced to change their business models. “The rising local demand for chicken is being met by imports and chicken industry jobs are going to other countries instead of creating opportunities for South Africa’s own people in what has been proved to be a highly efficient industry. Three years ago, when the US’s African Growth and Opportunity Act (AGOA) was renewed, South Africa agreed to allow in 65,000 tons of US chicken duty-free per year as a quid pro quo for continued benefits for other industries under the programme. The poultry industry reluctantly agreed to the deal “for the greater good of South Africa.” But under the agreement various sectors including the steel and aluminium industries are exempt from US tariffs. When President Trump applied steel and aluminium tariffs on friend and foe alike the South Africa Poultry Association pointed out that the tariffs nullified the agreement and tariffs should be slapped on US poultry imports to South Africa. Marthinus Stander, Chair of the SAPA’s Broiler Organisation, argued that Trade and Industry Minister Rob Davies was obliged to take action in light of this breach in the trade agreement. In late September, the South African Poultry Association (SAPA) filed a lawsuit against its government, calling for the US poultry tariff exclusion quota to be suspended. The issue came to a head when South Africa initiated a court case when President Donald Trump refused to exclude SA from the tariffs he imposed on imported steel and aluminium, thereby nullifying the broader trade agreement that included poultry. In the United States influential Senators from major poultry producing states like Delaware, Georgia and Mississippi intervened with the Commerce Secretary and the President to get the steel and aluminum tariffs on South Africa withdrawn. In Delaware 70 percent of all farm income comes from chicken. In Mississippi chicken contributes $2.5 billion annually to the state’s economy. 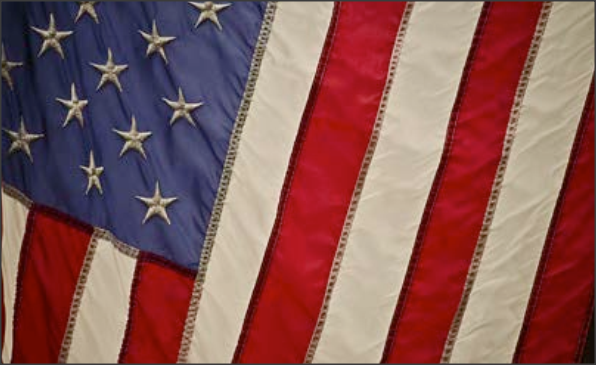 As a result of Minister Davies intervening with his US counterparts on the concerns raised by SAPA the US has granted South Africa tariff exemptions on 161 aluminium and 36 steel products. Baird was responding to the Association of Meat Importers and Exporters’ (AMIE) position in opposition to the safeguard duty. In his organisation’s view, the reason why meat importers are worried is because the 35% safeguard duty will eat into their profits, and will boost the local industry – which is the objective of the safeguard. Baird emphasised in his response to AMIE CEO designate Paul Matthew’s view that the safeguard levy will hit SA consumers, “EU chicken may be imported cheaply, but it is not sold cheaply – the selling price is kept just below the ruling retail price, crippling local producers and making fat profits for importers and middlemen.” Importers have happily continued what is in effect an assault on South African jobs Baird added. “AMIE also states that the duty was imposed in contravention of a trade partnership agreement with the EU. It does not state that SA government and the local industry disagree with that view and that it is not a South African-imposed duty but one agreed to by SA Customs Union countries. If meat importers were really convinced of their interpretation of the agreement, they would have gone to court,” concluded Baird. According to the Trade Law Centre, the agreement safeguards are a temporary restriction of “fairly traded products to protect a domestic industry from a sudden increase in imports that cause serious injury to the domestic industry of the importing country”. A safeguard is a “safety valve”, it explains, giving a country the flexibility to temporarily rescind liberalisation commitments made. 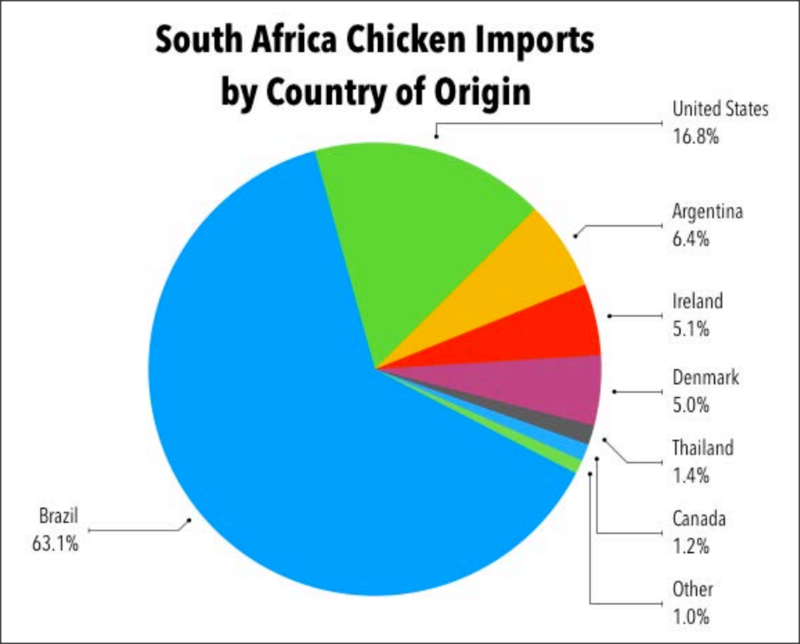 In a letter published in Business Day Marthinus Stander, Chairperson of the Broiler Organisation, SA Poultry Association said the views expressed by US Undersecretary Ted McKinney on his trip to SA are “uninformed, arrogant and regrettable.” Stander noted that the real problem is the dumping by the US and others of bone-in portions of chicken into the South African market at prices well below the costs of production. Stander also reminded readers that the US has been repeatedly found guilty of this predatory act of dumping by the independent International Trade Administration Commission. With regards to McKinney’s uninformed assertion that South Africa’s poultry producers are uncompetitive, independent academic studies by the Netherlands’ Wageningen University, perhaps the foremost agricultural university in the world, prove otherwise. According to Wageningen’s research South Africa’s costs of poultry production are on a par with US production costs and below the costs of most other major poultry producing countries including the Netherlands, UK, Russia, Germany and France. FairPlay’s Francois Baird pointed out in another letter to Business Day that McKInney clearly had his facts wrong. Baird noted that under a broader trade agreement between the US and South Africa, privileged entry to the South African poultry market with a quota of 65,000 tons. SA has kept its side of the bargain and allowed the US chicken in despite the damage being done to the local industry by dumped chicken imports. The dispute came to a head when South Africa initiated a court case when President Donald Trump refused to exclude SA from the tariffs he imposed on imported steel and aluminium, thereby nullifying the broader tarde agreement that included poultry. In the United States influential Senators from major poultry producing states Delaware, Georgia and Mississippi intervened with the Commerce Secretary and the President to get the steel and aluminium tarrifs on South Africa withdrawn. In Delaware 70 percent of all farm income comes from chicken. In Mississippi chicken contributes $2.5 billion annually to the state’s economy.